Neylon to speak at one of the World’s most progressive and innovative Internet conferences. Blacknight CEO, Michele Neylon, will be speaking on new TLDs at the Swedish Internet Days in Stockholm. Swedish Internet Days are coming and Blacknight CEO Michele Neylon is headed to Stockholm to share the Irish perspective on the domain market. The Internet Days are one of Europe’s most important meetings for those who work with and are obsessed by the Internet. The meeting, which will take place On November 24-25, 2014, shall be held at the Stockholm Waterfront Congress Centre. The aim of the meeting is for attendees to be inspired, learn from each other and network. Swedish Internet Days is less of a conference and more of a meeting place through which various curated events happen simultaneously. Events focus on the Internet from different perspectives, be they international, interdisciplinary or business based. Blacknight CEO Michele Neylon will speak on the panel titled: "Navigating in a sea of infinite choice: the impact of new TLDs on the domain market, today and tomorrow." The session will run for 90 minutes in the afternoon of November 24th. Neylon will be joined by Daniel Ruzzini Mejia from DomainsBot, Steinar Grøtterød, Director of Registry Operations and Compliance, dotGlobal (NO). 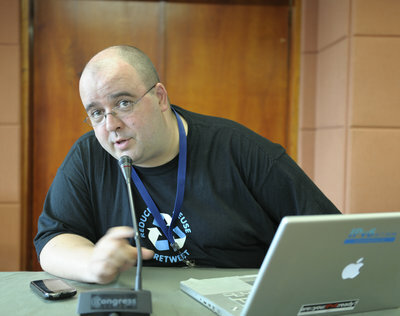 The session will be moderated by Francesco Cetraro (Afilias). Neylon’s session will focus on how the launch of new TLDs is changing the domain market, from the challenge of presenting relevant results to confused customers to the impact that the increased competition will have on the more established ccTLDs and gTLDs. The Internet Days are organized by .SE (The Internet Infrastructure Foundation), an independent organization that are responsible for .se, the Internet’s top Swedish domain and promotes the positive development of the Internet in Sweden. Internetdagarna 2013 was the 14th in succession.